(CNN) Libyan authorities have launched a formal investigation into slave auctions in the country following an exclusive CNN report earlier this week, the government said Friday. “A high-level committee has been convened encompassing representatives from all the security apparatus to oversee this investigation,” Anes Alazabi, an official with the internationally recognized government of Libya’s Anti-Illegal Immigration Agency, told CNN. Alazabi’s agency will be overseeing the probe. Part of its work will be to assess whether all the locations of these auctions are under the control of the United Nations-backed Government of National Accord (GNA) in Tripoli. “We definitely welcome the news for any investigation and we hope that this will cover not only this case but definitely all the cases of abuse and violence against migrants in Libya,” Othman Belbeisi said from Tunis. CNN’s Alex Platt and Raja Razek traveled with Elbagir to Libya in October after obtaining footage of a migrant auction. At a property outside the capital of Tripoli, CNN witnessed a dozen men being sold like commodities — some auctioned off for as little as $400. CNN was told of auctions at nine locations across Libya, but many more are believed to take place each month. CNN believes some of the auction sites are in territory controlled by the GNA, but others are not; the GNA does not control the entire country. 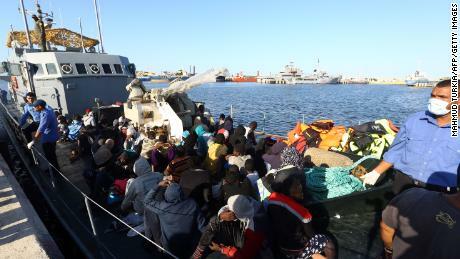 Libya has long struggled to cope with an influx of migrants from sub-Saharan Africa, many of whom hope to transit in Libya before traveling to Europe with the help of smugglers. Estimates from the United Nations put the number of migrants in Libya at 700,000. For years, migrants crossing the Mediterranean have brought with them stories of beatings, kidnapping and enslavement. 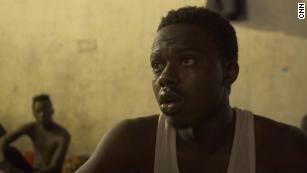 Many make harrowing journeys from West African countries. Those migrants who do make it to Europe are often too terrified to go on the record about their ordeal. CNN has also provided the evidence of slave auctions in Libya by unscrupulous smugglers to the Office of the Prosecutor at the International Criminal Court. CNN’s Madalena Araujo contributed to this story.